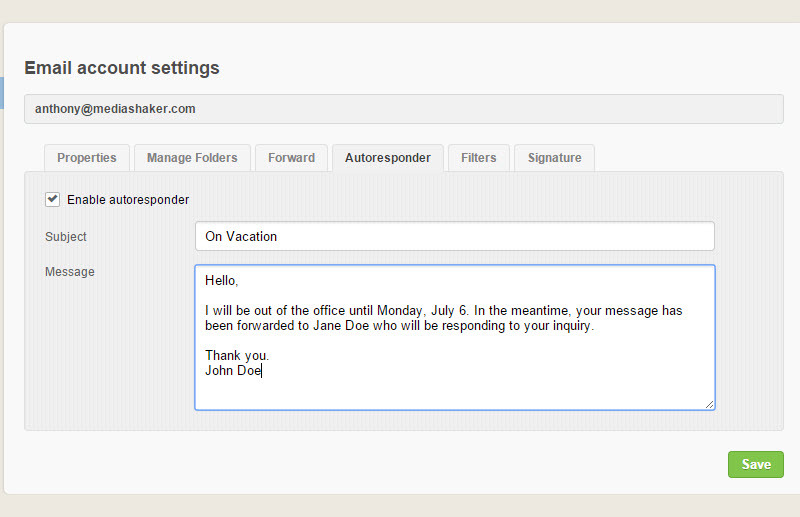 Use an autoresponder when you want to let people who send you email that you are out of the office for an extended period. Setting up an autoresponder is easy to do within ShoutCMS webmail. Click on the "Settings" link in the top right corner. By default the "Common Settings" dialogue will be displayed. 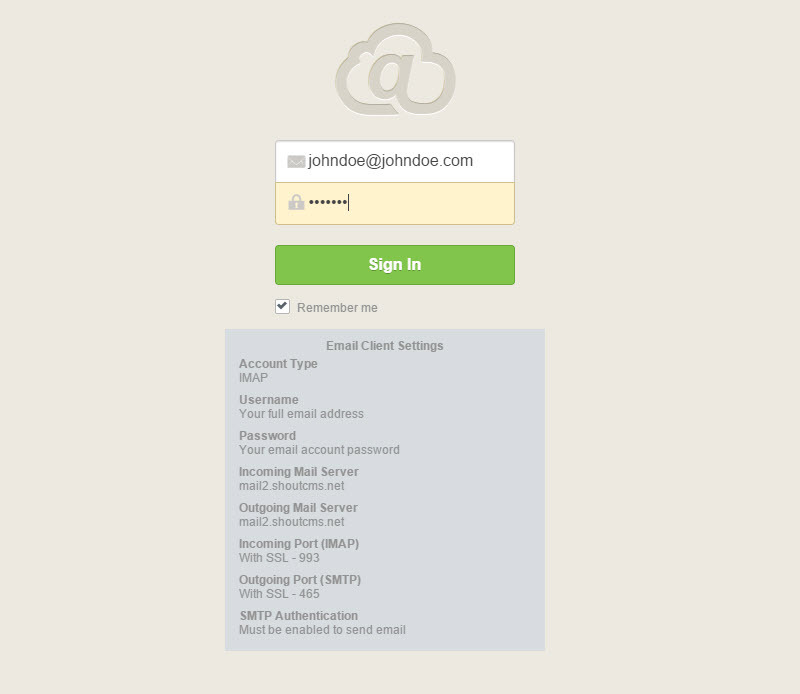 Click on "Email Account" to modify the account settings. 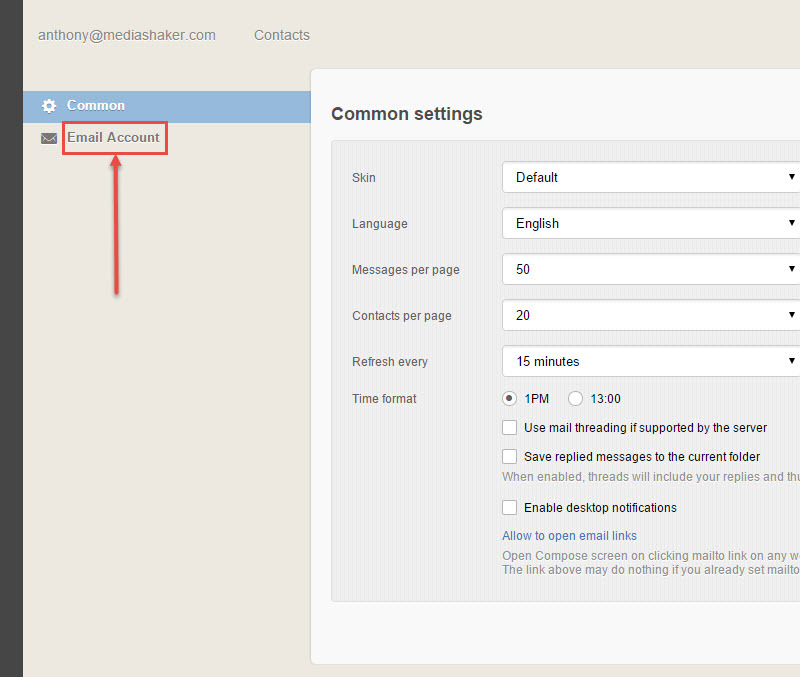 The Email account settings dialog will be displayed. Click on the Autoresponder tab. Click the checkbox to the left of "Enable autoresponder". Enter the subject of the message. Enter the content of the message. Click the "Save" button. Optional: Click on the "Forward" tab. Click the checkbox to the left of "Enable forward". Enter the email address of the person who you want all your email forwarded to. Click the "Save" button.